SAN FRANCISCO—At its public meeting on June 27, the Judicial Council will consider recommendations from its Trial Court Budget Advisory Committee on new policies related to encumbrances of trial court funds. These proposed policies would provide guidance to trial courts in complying with Government Code section 77203, which allows courts to carry over “unexpended funds in an amount not to exceed 1 percent of the court’s operating budget from the prior fiscal year.” A legal analysis done by the Administrative Office of the Courts concluded that encumbered funds are not considered “unexpended” for state agencies and is consistent with the policies and practices of the executive branch. The Department of Finance (DOF) was consulted during the development of these proposed policies, and has indicated no concerns with them being recommended to the council. As another tool that courts can use to help them manage their budgets, courts may request urgent needs funding if they are projecting a negative fund balance (i.e., forecasted expenditures exceed forecasted revenues and beginning reserves) in the current fiscal year due to an unavoidable budget shortfall, unforeseen emergency, or an unanticipated expense for an existing program. The council will consider recommendations from its Trial Court Budget Advisory Committee to revise the Application for Supplemental Funding Form and process as it relates to cash advance requests. The council’s public business meeting is scheduled for June 27, from 8:30 a.m. to 2:20 p.m., at the Judicial Council Conference Center, Hiram Johnson State Office Building, Third Floor, Ronald M. George State Office Complex, 455 Golden Gate Avenue in San Francisco. Trial Court Allocations for FY 2014–2015: The council will consider recommendations from its Trial Court Budget Advisory Committee on fiscal year 2014–2015 allocations from the Trial Court Trust Fund for various trial court-related projects and programs, as well as reimbursement of various trial court costs, including court-appointed dependency counsel and criminal justice realignment costs. The recommendations also address a process for adjusting 2014–2015 State Trial Court Improvement and Modernization Fund allocations approved by the council. The committee intends to bring additional recommendations for the council’s consideration at its July 29 meeting and may also bring back changes to what is being recommended in this report or other allocations already approved by the council. Court Facilities: Modernization of the Hollywood Courthouse: The council will consider recommendations to adopt performance criteria and a competitive prequalification and selection process for the design-build method to modernize the Hollywood Courthouse. The scope of this project was changed from new construction to modernization of an existing facility to move this SB 1407 project forward, saving approximately $50 million. Report on Services Provided by the AOC to the Judicial Council: The Services Provided by the AOC Report is an information-only report for the council that contains a high-level comprehensive catalogue of all programs, projects, and activities provided by the AOC as staff agency to the Judicial Council in service to the judicial branch, sister branches of state government, the federal government, local and national justice partners, community organizations, and the public. 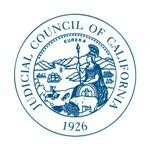 2014 Recipients of Judicial Council Distinguished Service Awards: The council will consider recommendations from the chairs of its five internal committees on the recipients of this year’s Judicial Council of California Distinguished Service Awards. These annual awards, the highest honors bestowed by the judicial branch, recognize individuals who exemplify the leadership strengths that create significant and positive contributions to court administration in California.